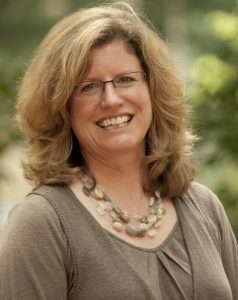 TUSCALOOSA, Ala. — Dr. Victoria Gallagher, a professor in the department of communication at North Carolina State University, will present “The Paradoxes, Perils, and Promises of the Humanities in the 21st Century” Thursday, April 20, at 7 p.m. in room 205 of Gorgas Library on The University of Alabama campus. The lecture is part of UA’s Hidden Humanities lecture series and is free and open to the public. “I will be speaking about the history and current paradoxes that have defined higher education in the United States and connecting those directly to the value of scholarship, pedagogy, and engagement in and with the humanities,” Gallagher said. “I will also explore the role of the humanities in helping us think about the future of work and of our approaches to the most compelling and difficult problems of our time,” she said. Gallagher will use the example of her Virtual Martin Luther King project to illustrate how humanities scholarship can lead to community engagement and civic participation, while also creating opportunities in and for creative industries. The goal for the project is to create an immersive experience in which listeners are taken back in time to the White Rock Baptist Church during Dr. Martin Luther King Jr.’s “A Creative Protest” speech. The Hidden Humanities lecture series is sponsored by the College of Arts and Sciences; it was founded in 2014 to bring nationally prominent scholars and writers to UA, each fall and spring to discuss the so-called “crisis in humanities.” The goal of the series is to challenge the widespread notion that the humanities ought to be a low priority in education. This Hidden Humanities lecture is also co-sponsored by the departments of American studies, anthropology, art and art history, English, history, philosophy, physics and astronomy, religious studies, theatre and dance, New College and the School of Music. These departments are a part of UA’s College of Arts and Sciences, the University’s largest division and the largest liberal arts college in the state. Students from the College have won numerous national awards including Rhodes and Goldwater scholarships.